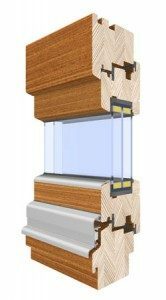 The wooden part of the window is 88 mm thick, which allows installing very thick glazing units. 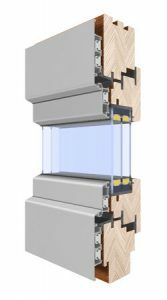 Standard THERMAX windows are equipped with a 3 glazing unit with the heat transfer coefficient Ug = 0.5 W/m2K. 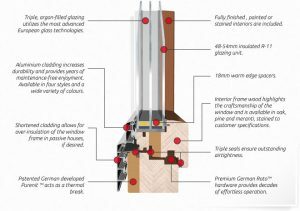 ULTRA THERMAX window is a completely innovative technical solution. 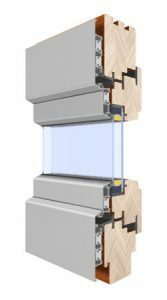 DK offers certified aluminium clad wooden windows with the heat transfer coefficient for the whole product of Uw=0.7 W/m2K!!! Such excellent thermal parameters have been obtained by using 88 mm thick wooden profile, additionally insulated with Purenit insert. 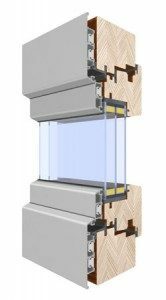 THERMAX ULTRA windows can be used in passive house constructions where the value of Uw = 0.8 W/m2K is sufficient. Marconi Max window is a thermally modified version of Marconi window. The wooden part is 68 mm thick. 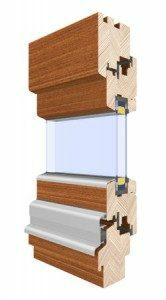 By introducing a new sash design, we can use 44 mm thick, two-chamber glazing units. This improvement has allowed us to use panes with the heat transfer coefficient Ug = 0.6 W/m2K in standard Marconi Max windows. With this construction we obtain an excellent insulation parameter for the reference window Uw = 0.9 W/m2K. The economic construction of Marconi Max window allows for a very good ratio of price to thermal and functional properties. Aluminium Clad windows combine the benefits of a maintenance free external surface together with the beauty of the finished engineered timber internally. These two materials are brought together in perfect synergy achieving a highly sophisticated product. This Aluminium Clad window system is especially beneficial in extreme weather conditions. Exposed areas at high altitudes and coastal locations experience much harsher weather and therefore would benefit from such a window. Marconi system, which is a tilt & turn inward opening window, dedicated mostly to clients in Continental Europe. Marconi can also be offered with triple glazing. These units achieve a centre pane ‘u’ value of 0.6W/m2K, offering substantially lower emission values. The New Line system is our latest profile with 68 mm mounting depth. New Line is the only profile on the market with a thickness of 68 mm which has been equipped with three gaskets. Thanks to the application of a modern drip, the design is characterized by high tightness and very good thermal performance. The fashionable design, sharp edges and sturdy construction, are additional assets of the New Line profile. The Thermo system is our response to the ever increasing cost of energy carriers. Thermo 88 woodwork combines perfect performance parameters and a very low heat transfer coefficient. Uw = 0,8 W/m2K, which means that the window can be used in passive construction.